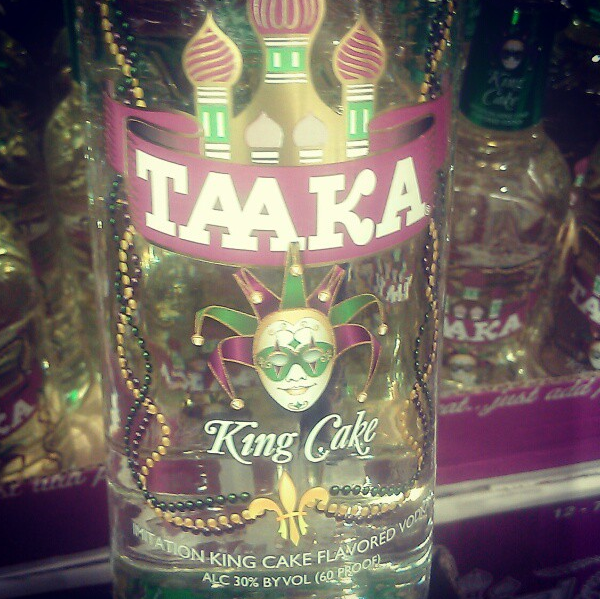 A jello shot with lemon juice, sugar, gelatin, and Taaka King Cake tastes surprisingly good. Like a boozy doberge cake. Combine sugar and water and gelatin. Stir. Bring to a boil. Remove from heat, add in booze and lemon. Pour into molds. And if you are looking for fancier king cake cocktail idea, head on over to A Mountain of Crushed Ice. She’s got good recipes with pictures.